Yesterday was the launch of the Embedding Wellbeing in Northern Ireland project, and ambitious three-year programme that is calling for local authorities to apply for financial and in-kind support.To explain the thinking behind the project, we have a guest blog from Dr. Aideen McGinley, Chair of the Embedding Wellbeing in Northern Ireland Advisory Group and Co-Chair of the Carnegie Roundtable on Measuring Wellbeing in Northern Ireland. Across the UK and Ireland, there is an increasing recognition that a good quality of life starts with the local. Whether you call this the Enabling State, localism or community empowerment, there is an increasing recognition that people need more control of their own lives. And this is being matched by efforts to measure wellbeing at a more local level, progressing from the OECD’s Better Life Index, to frameworks at city, regional and local level, to wellbeing in our communities. In Northern Ireland, the Executive has shown leadership in embedding a wellbeing and outcomes-based approach in the draft Programme for Government. 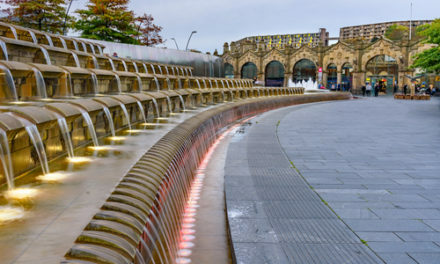 While the current political impasse has stalled the roll out of a wellbeing approach at central government level, the reform of local government provides the opportunity to identify the long-term priorities for improving wellbeing of local districts and their residents; community cohesion; and local quality of life through Community Planning. 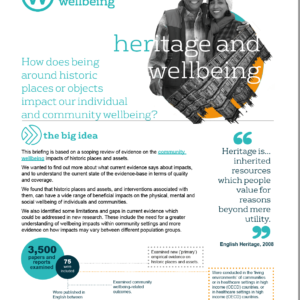 While all of the Community Plans have, to varying degrees, adopted both the language and substance of the wellbeing agenda and the outcomes model, independent analysis commissioned by the Carnegie UK Trust found that there is an opportunity to support Community Partnerships to implement their Plans – to help move their Plan from paper to policy. To help increase their capacity and confidence to improve local wellbeing outcomes. This is why the Trust has launched its new project Embedding Wellbeing in Northern Ireland, a three-year project offering significant financial and in-kind support for up to three Community Planning Partnerships to implement a local wellbeing outcomes approach. The Trust is inviting all local authorities to apply with their particular Community Planning challenges, whether these are internal – such as aligning the approach taken with the draft Programme for Government or gathering appropriate data which links their activities to outcomes – or external – for example, engaging with citizens or communicating the work of the Partnership effectively. And they won’t be participating alone. 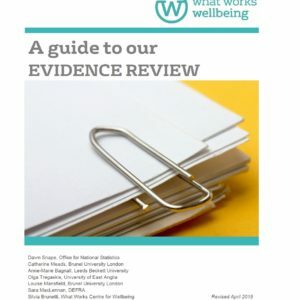 The growth of evidence intermediaries such as the Centre and their colleagues at the Alliance for Useful Evidence demonstrates time and time again the need for a support network and a mechanism to exchange evidence on what works well. 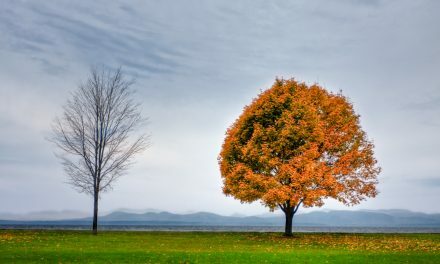 The Trust is therefore developing a peer-to-peer support model to allow participants to share learning – on their experiences, successes, and, as, if not more, crucially, challenges, with each other; the other local authorities in Northern Ireland; and their counterparts across the jurisdictions. Only by working to an outcomes based approach, beyond silo and sectors, will local interventions succeed in difficult economic and political times. Only by working together will we know what works in improving local wellbeing in Northern Ireland. Only then will we move from rhetoric to reality. How do people rate their wellbeing in different UK countries and in local areas? 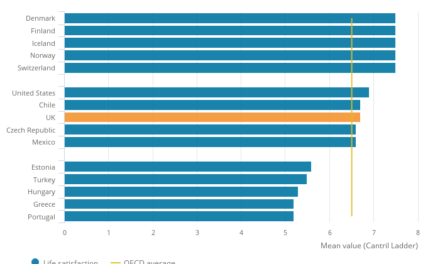 How does UK wellbeing compare to other countries?